Enact Solutions inspires people to make a positive difference to their lives. Everything we do, we believe in changing the default settings, in thinking differently, and making it count. From the start, we’ve been doing this by designing and delivering highly engaging, immersive learning experiences that blend drama, brain science and technology to bring subjects to life and evoke feelings, powerful transformative moments, which open people to new ways of thinking and behaving. In recent years, we’ve added more and more multi-media content, alongside live drama and electronic voting, to increase engagement and interaction and, ultimately, maximise learning and long-term impact. Now we are thrilled to be introducing eXtended Reality (XR) technologies to the mix. On 9 May 2019, we’re going to be at MAC in Birmingham putting on a complimentary (no charge) event for a limited number of people to learn all about and directly experience the full range of XR prototypes we’ve been developing for our training and learning development programmes. 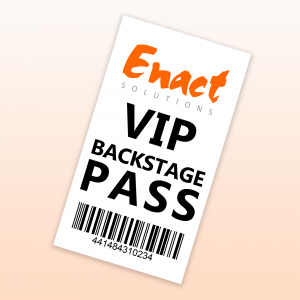 Think of it as a ‘backstage pass’ to a demonstration of how immersive XR content filmed with actors can be used to deal with real world challenges, like reducing bullying and harassment at work, minimising the impact of unconscious bias, and enhancing employee resilience. If you are interested in seeing how XR technologies could enhance the future of workplace learning and development, then this event is for you. We’re incredibly excited about the truly unique resources we’re creating, and we’d value your feedback and thoughts on their potential. You’ll learn as we learn, and together we’ll be making something special. The event takes place on Thursday 9 May 2019 at 9.45am (for refreshments) with a start time of 10.00am and an end time of 12.30pm when lunch will be available. It will be held in the Deloitte Room at MAC Birmingham, Cannon Hill Park, Queen’s Ride, Birmingham B12 9Q. If you have any questions, feel free to contact us via email or call 01484 310234. Watch out for regular updates on this and our other events on Twitter, Facebook and LinkedIn.